Samsung Galaxy J3 Emerge presents superb capacitive touchscreen , 16M colors , It brings a great size of 5.0 inches ( ~69.8% screen-to-body ratio ) that is very suitable in playing games , watching video and browsing the Internet . Samsung Galaxy J3 Emerge has got a resolution of 720 x 1280 pixels ( ~294 ppi pixel density ) , It comes with multitouch feature , It presents high build quality , It offers superb & impressive design . Samsung Galaxy J3 Emerge offers wonderful expandable memory via card slot microSD , up to 256 GB ( dedicated slot ) , It presents superb internal memory of 16 GB and it has 1.5 GB RAM for multitasking performance . Samsung Galaxy J3 Emerge contains superb primary camera of 5 MP , f/1.9 , LED flash , It has got fantastic features such as geo-tagging , touch focus , face detection & HDR and it takes superb photos with high quality . Samsung Galaxy J3 Emerge gives you Full HD video recording , It offers video of [email protected] , It supports a secondary camera of 2 MP , f/2.2 , It presents superb selfies , It has a superb flash that enables you to take superb photos in low light conditions . Samsung Galaxy J3 Emerge comes with body dimensions of 140.9 x 70.1 x 8.7 mm ( 5.55 x 2.76 x 0.34 in ) , It gives you a light weight of 147 g ( 5.19 oz ) , It contains Micro-SIM , It is announced in January , 2017 and it is released in January , 2017 . 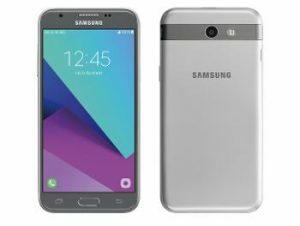 Samsung Galaxy J3 Emerge gives you Android OS , v6.0.1 ( Marshmallow ) , It includes Qualcomm MSM8937 Snapdragon 430 – Sprint or it comes with Qualcomm MSM8917 Snapdragon 425 – BoostMobile . Samsung Galaxy J3 Emerge offers a fast CPU , It contains Octa-core 1.4 GHz Cortex-A53 – Sprint or it offers Quad-core 1.4 GHz Cortex-A53 – BoostMobile , It supports Adreno 505 – Sprint or it offers Adreno 308 – BoostMobile and it presents a superb performance without any lags . Samsung Galaxy J3 Emerge supports a removable Li-Ion 2600 mAh battery that lasts for long time , Talk time is up to 23 h ( 3G ) , Music play is up to 71 h and it comes with one colour which is Gray . Samsung Galaxy J3 Emerge offers Wi-Fi 802.11 a/b/g/n , Wi-Fi Direct , hotspot , It supports Bluetooth v4.2 , A2DP , LE , It comes with GPS , with A-GPS , GLONASS , It brings FM Radio and it gives you USB microUSB v2 . Samsung Galaxy J3 Emerge brings amazing Sound Alert types such as Vibration , MP3 , WAV ringtones , It includes loudspeaker , It comes with 3.5 mm jack and it presents an active noise cancellation with dedicated mic . Samsung Galaxy J3 Emerge brings 2G bands GSM 850 / 900 / 1800 / 1900 , It supports 3G bands HSDPA , It has 4G bands LTE , Its speed is HSPA 42.2/5.76 Mbps , LTE Cat4 150/50 Mbps , It includes GPRS and it has got EDGE . Samsung Galaxy J3 Emerge has got rich number of amazing sensors such as Accelerometer , Gyro , Proximity & Compass , It contains fantastic messaging like SMS ( threaded view ) , MMS , Email , Push Mail , IM and it has Browser HTML5 . Samsung Galaxy J3 Emerge offers many superb connectives such as Wi-Fi , Bluetooth , GPS , 3G , 4G & USB , It offers an MP4/H.264 player , It includes MP3/WAV/eAAC+/Flac player , It presents a photo/video editor and it gives you a document viewer . Samsung Galaxy J3 Emerge does not have Java , It does not include water & dust resistant , It presents an average battery capacity , It has no Corning Gorilla Glass , It brings only one colour which is Gray , It comes with 1.5 GB RAM only , It does not support Dual SIM and it does not contain fast battery charging .